this isn't anything technical or deep in so don't worry. which most times are written in a nop cave (A nop cave is a big area in the game of nop- no operation)So without these when writing or subroutines in nop caves which aren't used how would the commands take place?Thats why we got hooks to call our functions and to call our sub. This was a beginner base guide,well I made it as simple asI could so I hope you understood. "think about j at beginner stage" J and Jal commands are basic, there are two different commands for a reason. A jump is mainly used as a pointer to other memory. A J can also be used to "call a function then return to where the last function should of returned" because J doesn't change the value in $ra. Jal is used to call functions. Why? Because when you use a Jal command it will take the address after the jal's delay slot and put it in the register $ra so it will know where to link back to. This is good for a quick, good "go to function then come back" method, allowing us to do something in the game smoothly. Hooks must be in "active RAM". Active RAM is basically just RAM that is (or will) be read when in game. For example a line that is in the see walks function (which is always being used in game) will be in active ram. Another example is a line in the shooting function, if we use a line in the shooting function then we will call our function once we shoot because the shooting function is called when we shoot (duh). What do most hooks do? Most hooks are at the end of functions, at the point "go back to where you came from" which I slightly talked about above: ""call a function then return to where the last function should of returned"". So we change the return part to "go to "here"" and "here" would be the location of your own function/routine. If we do use a hook this way (at the end of the function) and you do not want to do something specifically (you will need to know a lot to be able to) then a J command is what you are looking for to use. As I said above a J command doesn't change the value in $ra (only jal (jump and LINK) so it knows where to LINK back to) so $ra still holds the value where the function should return (where the function should return <<< by that I mean the function that you edited at the end, to call your function). So the J goes to your function/routine, runs that code, then jumps to what ever value is in $ra, which will return to where we should be, and then we will be executing the rest of the code in the game like normal. All in all hooks are saying: "Before you go to $ra, go to my function, then go to $ra" so you are just slipping your own code in the game to be executed. When would you use Jal? Well if you have read this so far you know that Jal is used to "link" back to a address, for a "go to here then come back" effect. You would need to do this to be able to use a Jal for a hook. So you might want to check the function to see when and where and if you want to do this. Most the time that people use Jal's they are changing a function call (which is a jal in the game normally) to call there function. The original Jal is never used and therefor never calls the function that it normally calls. So this way you can do something like "don't jump to that function, jump to my function instead". Again, you will need to know when to do this, and if you don't know how to check if you need to do this, just use a J lol. Really Leet? You don't need all that info just to find and use a freaking hook. If you even read his tutorial, he says multiple times that the guide is not meant to be detailed, technical, or deep; just a quick FYI for the begginers. This is what I hate about OHG Coders, they're always being over techinical for no reason. You know MIPS, we get it. Yes, to you or to me it's not techincal or deep, just like division wouldn't be to an algebra teacher, while this guide is intended for 2nd graders. Either way it's uneeded information for a simplistic guide, and you took it a step furthur by insulting weed about knowing something, before making a guide about it. I'm not an idiot, none of us here are. It's clear what you're implying. So how about you just make your own guide? 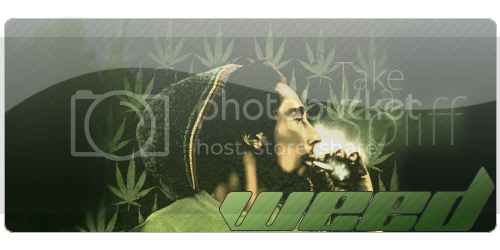 Last edited by WeEd; 12-30-2010 at 05:37 AM. I wasn't implying that weed was in idiot, I was sharing more information. I guess the last line could of been taken as rude, I didn't mean to be rude though. All I was trying to do was add in more info to help out his guide.